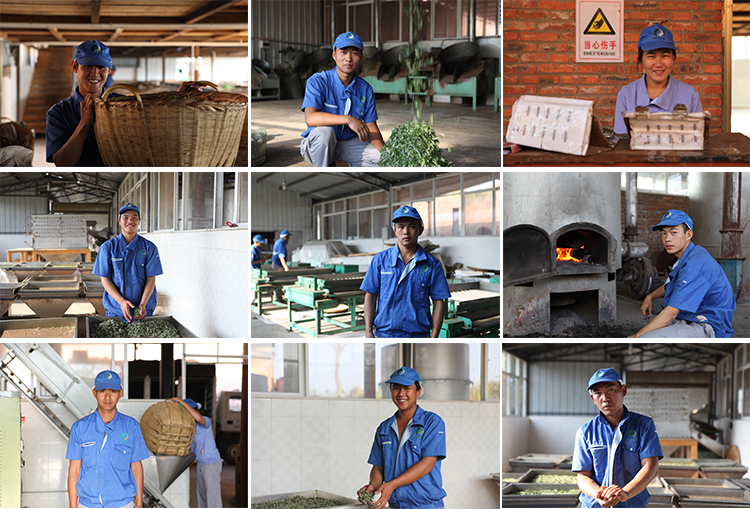 Pu’er zuxiang highmountain tea garden co.,ltd. located in the southwestern of Yunnan province: Zhengwan village, Nanping town, pu’er city, which is commended as “Tea- city of China”,” The origin of the tea world” and ”The capital of pu’er”. This is such a place where the Dai people populated in with quite rich tea culture. The average elevation of it is about 1300 meters and Asian Corridor in Heaven had crosses the whole land of it. We have self-owned organic tea garden of 166 hectares which were reclaimed from secondary forest in1998, there were no any planting history but clear and fertile land. We insist in rigid organic planting and management since reclaimed without any of chemical pesticides and fertilizers. 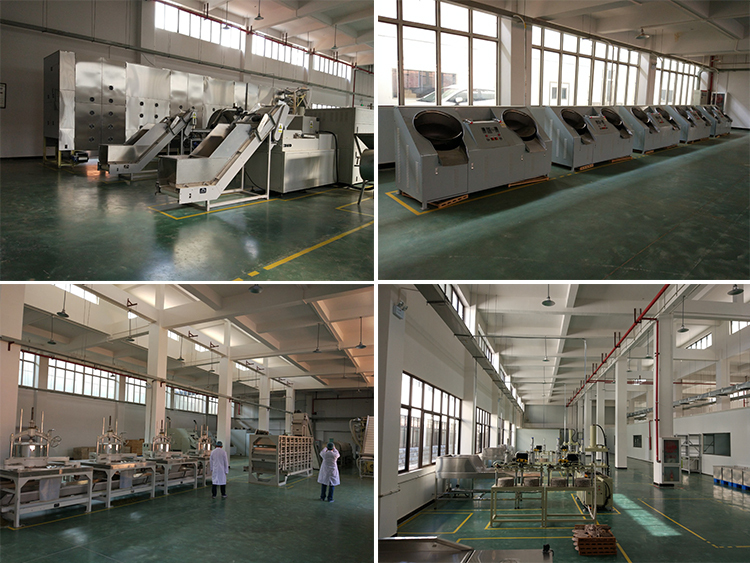 We are constructing our new organic factories(Covers an area of 32000 Square meters with value of 98000000 RMB) and bring in new machines according to food production standard regulation for organic tea processing to achieve the perfect combination of modern processing management with traditional technology. 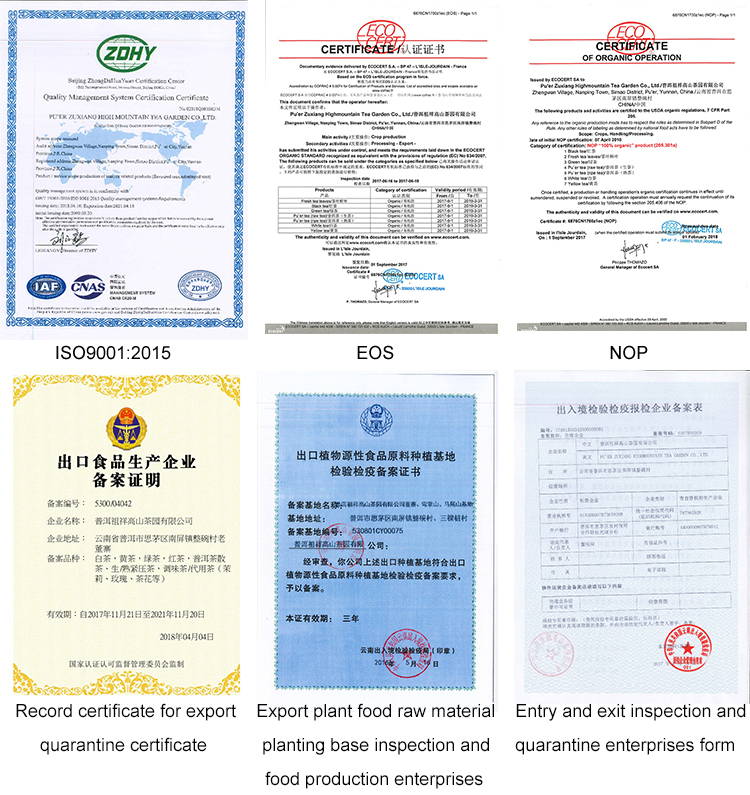 Our tea garden and products continuously obtained China, EU, NOP and JAS organic certification since 2010. The products have been exported to Europe and United States for many years. 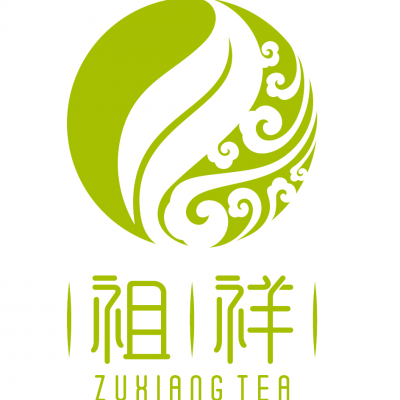 There are three characteristics of Zuxiang organic tea: mellow and exquisite taste, obviously sweet aftertaste, and various types of aroma, thanks to the elaborately processing way of organic fresh leaves, which is a combination of traditional manual methods with modern technology and machines. The company reclaimed secondary forest for organic tea plantation since 1998. 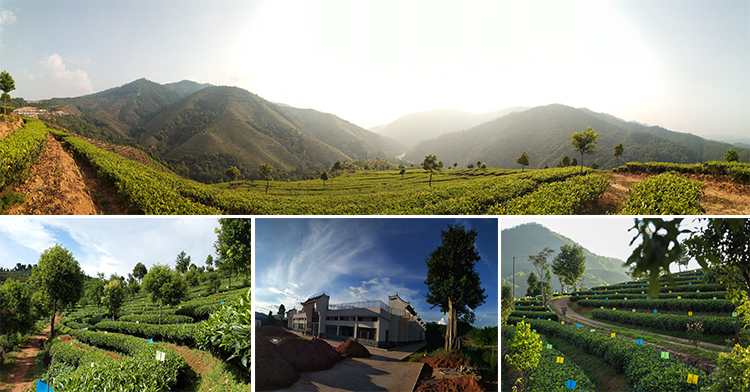 Pu’er Zuxiang Highmountain Tea Garden Co., Ltd. was established at 2006. The first batch of dried tea with organic standard was produced in 2006. The products were formally certified by EOS, NOP, JAS, CHINA organic certification at 2010. Tea started export career to the European Union, the United States since 2012. We stepped into the modern enterprise management stage since the year of 2016. 3 The comprehension of organic planting philosophy. 4. Unremitting efforts at place where the consumers can not see. 5. The perfect combination of traditional processing way and modern technique. 7. Effort condensed in time, time is the best gift. To provide cost-effective organic tea products for the large middle consumers in domestic. To serve the one-stop products solution for the global tea trade giants and top food brands.